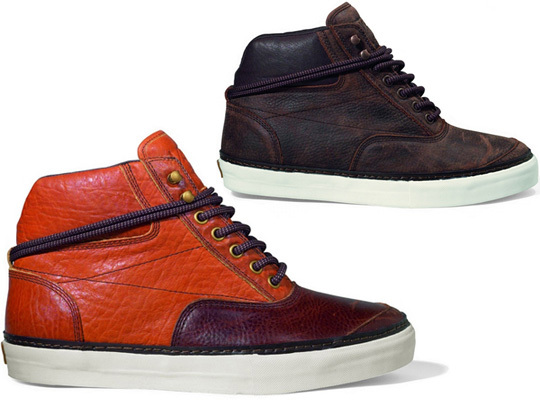 Vans Vault opens up and lets us take a peek at the Switchback LX, a shoe planned for the spring / summer 2010 collection. That’s some beautiful distressed leather you’re looking at, that gives the shoes a real cowboy feel. Pair them with a crisp pair of new raw Evisus, or some faded Levi’s, and you’re rocking a modern Clint Eastwood look.